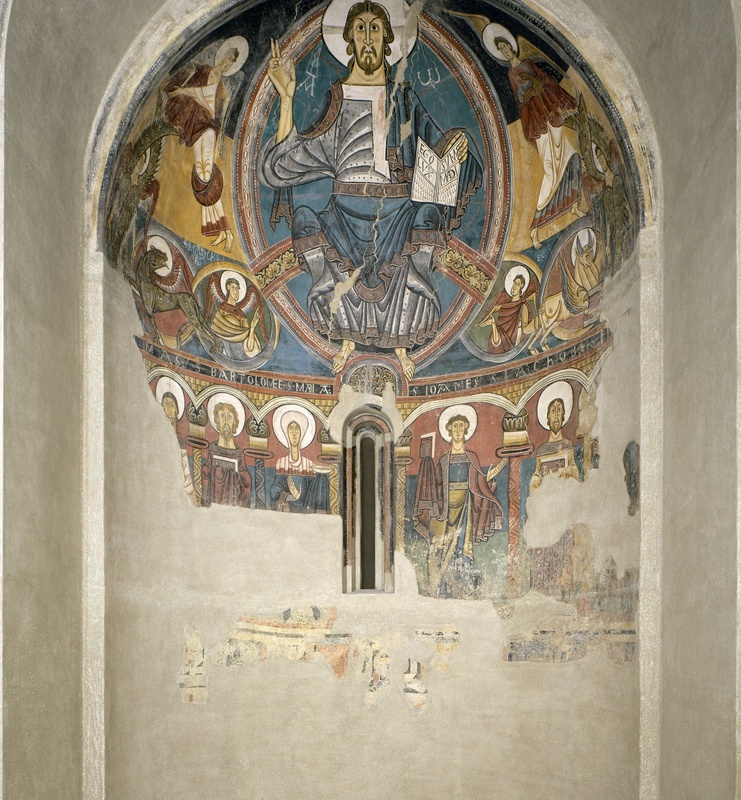 My first contact with Medieval Catalan art occurred in 2015, when I chose to do a work about the mural paintings of San Climent de Taüll, for an assignment of Romanesque art. I remember in that moment I was rather fascinated by the stylistic and iconographic richness of the whole set, as well as the fact that they were conserved so well and, even in a space that wasn’t “natural” to them. I believe that in that moment the windows opened up and I understood that my path would pass through the Middle Ages. From then until now, I have understood more about this fascinating world, understanding what type of artistic object I liked to study most, and which period I felt most comfortable with. Thanks to an agreement between the Universidade Nova de Lisboa and the Museu Nacional D’Art de Catalunya, in 2017 I had the opportunity to come to carry out an internship during an academic year. I arrived from Lisbon and found a territory that was undergoing a period of political upheaval, but that still maintained a deep respect and tradition regarding the preservation of its medieval heritage. 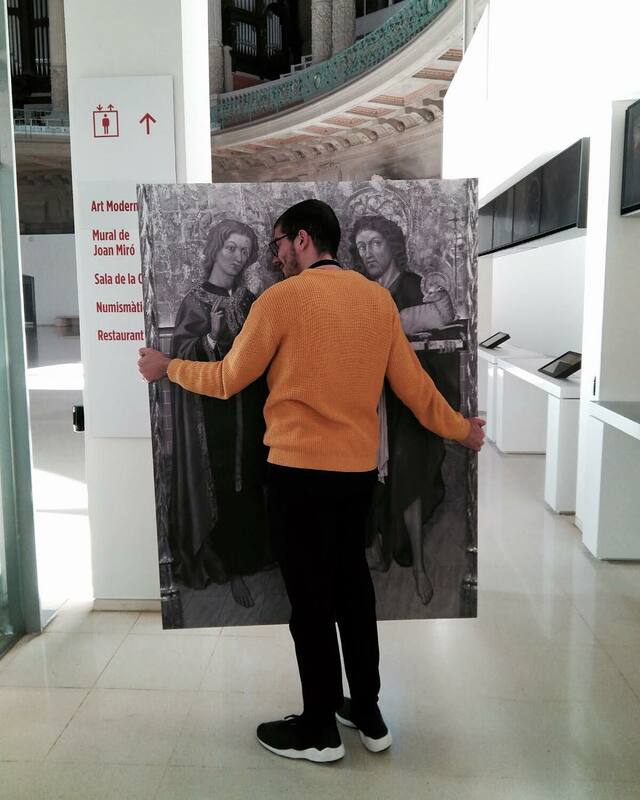 Within the Department of Medieval Art, I soon realized that there was room to work in any area that was more comfortable for me, which made me feel very satisfied. 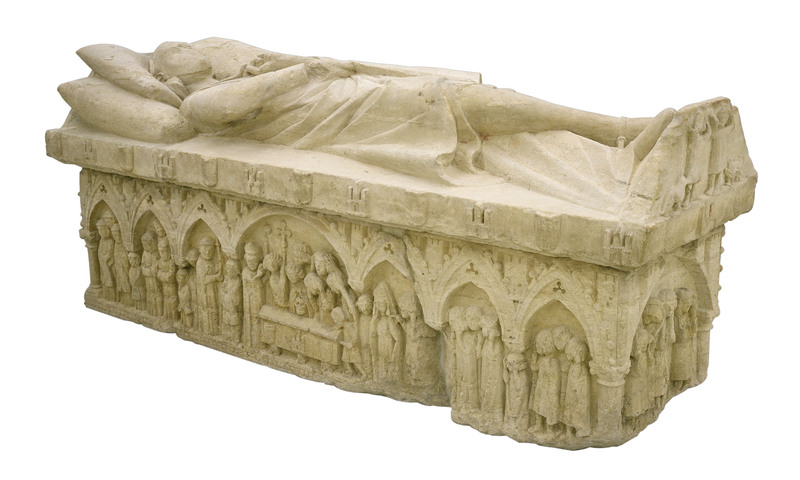 Although divided between the Romanesque and Gothic arts, at the beginning, I soon understood that it was in the Medieval Gothic art and in particular, in the funerary art pieces, where I felt more professionally fulfilled. I worked directly with Cèsar Favà, in tasks of documentation of some of the funerary art pieces, belonging to the Gothic art collection. Tombs, ossuaries, tombstones and fragments of panels, were some of the typologies which I was able to analyze, during these nine months in the Museu Nacional. I also had the opportunity to document other types of pieces, derived from the functioning of the museum and the different applications which they are subject to. Among the pieces that I could document, I would like to highlight the five tombs belonging to the Téllez de Meneses family, from Matallana, since this set represents an excellent example of funerary art, within the Gothic art collection. Furthermore, I observed closely how the internal dynamics of a museum is organized, the work in the different departments and how, directly or indirectly, they end up relating and influencing each other. For someone like me, who was used to the structure of the academy and its formalism, the work of the Museum ends up being more elastic, if we can define it in this way. The plasticity that exists in the set of tasks that conservators have to carry out, is something that we do not learn in the classes of a university and it is part of what the career of an art historian can become. 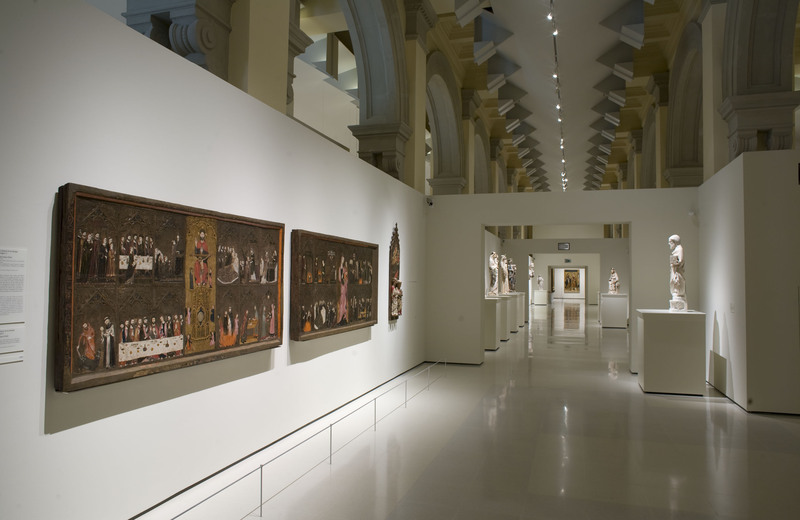 The difference between work in the universities and the work carried out in a museum, which not only obeys the same rigor as the first, as it has to correspond to the needs of the public and those who will consume the works that are exposed; on the other hand, the diversity of departments or areas in which art historians can apply their knowledge and specialize, not seeing the Art History as an end in itself; and, finally, the errors, which are part of the work and the process of growth, maturation and evolution of the institutions, as well as of the people who work in them. As in all experiences, there were moments of greater and lesser glory. Sometimes I wondered if I was following the right path, if I was taking the right options or reasoning things in the most correct way. Whenever necessary, I would seek out wisdom from amongst the elders, in search of a solution to my different questions. I think I left the museum richer than when I entered, I saw and absorbed everything I could, in the shortest possible time. 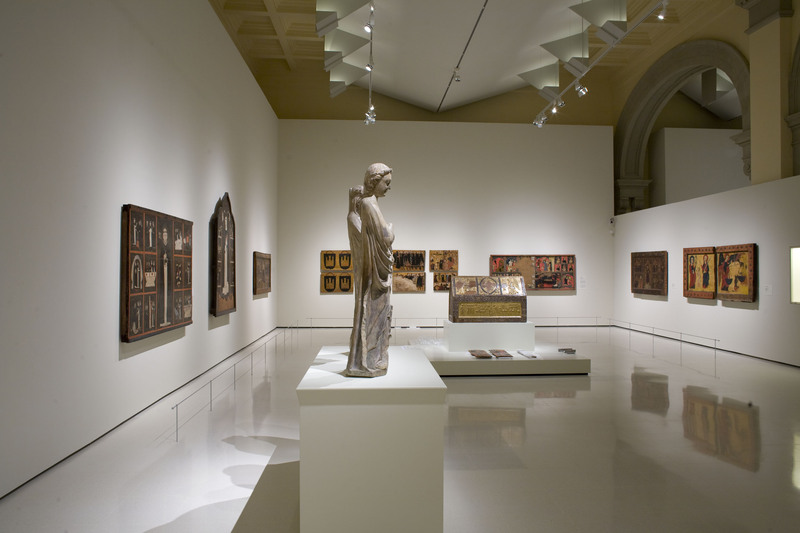 Another very curious fact was the automatic association that I began to establish between the works I had observed, either in the Museu Nacional D’Art de Catalunya – or outside – with Portuguese works. The relationship between the two territories is well known and also the fact of bringing knowledge from another context, enabling me to be able to make these bridges as quickly as possible. Coming from Lisbon to Barcelona was perhaps one of the most enriching experiences I’ve had so far. Not only changing country, but also being able to develop skills in my area, in such an important institution as the Museu Nacional, helping me to understand some things. I therefore believe, that for all students of Art History and those who are thinking of making this discipline their life, the stay in a museum can be a great way of learning. It doesn’t only “cleanse” defects and gain greater agility, but it is also an excellent opportunity to apply the knowledge acquired in classrooms and that many times is not possible to gain once outside them. In human terms, it is also an experience of value, given that the work is nearly always carried out in a team, with people from totally different backgrounds being inserted into a hierarchy, and it is true, opinions are heard and considered in most cases. I arrived at the Museu Nacional d’Art de Catalunya on September 29 and my internship ended, coincidentally or not, on June 29. I will hold on to the many things I learned, my retina will keep the image of dozens of works of art that I have seen and I know that the knowledge I have acquired will be useful in the future. In the end, what is the use of training professionals qualified to work in museums, if it does not give them space to experience this same practice in a work context? Universities and cultural institutions should strengthen their relationships and programmes as practices in museological context, they are the proof of that same connection. However, Art History courses suffer from a greater applicability of their contents, or of a more professional orientation, something that experiences like the one I have had, can fill.